Hamari Atariya Pe Lyrics is a lovely song from movie Dedh Ishqiya. 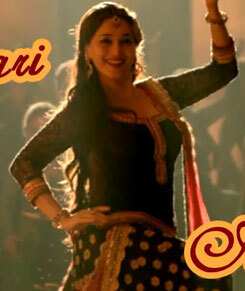 Madhuri Dixit has performed on this song. Rekha Bhardwaj has sung this Vishal Bhardwaj's composition. Gulzar has written its lyrics. Jora jori tanik hoi jaaye..
Kahan ghum hua an.. jaa.. na..